If your group is headed towards Houston George Bush Intercontinental Airport and need to find a shuttle ride on a budget there are many options to choose from for airport transfers to and from area hotels and convention centers. As the 4th-largest city in the country, Houston is a rodeo of a town, so much that you’ll want to explore it the second your flight arrives to George Bush Intercontinental Airport. From the stunning interior design to the incredibly accommodating services, no stone is left unturned for busy travelers looking to make their trip easier. If you’re more interested in an environmentally friendly way to park, head over to ecopark or ecopark 2, the first located south of the Tower behind the rental car area and the second closer to the airport’s administrative buildings. Though further from the terminals, 24-hour shuttles make sure everyone gets to their flight on time. If you’re a regular flier at George Bush, consider becoming a SurePark Member for specialty parking by Terminal C as well as a low rate. 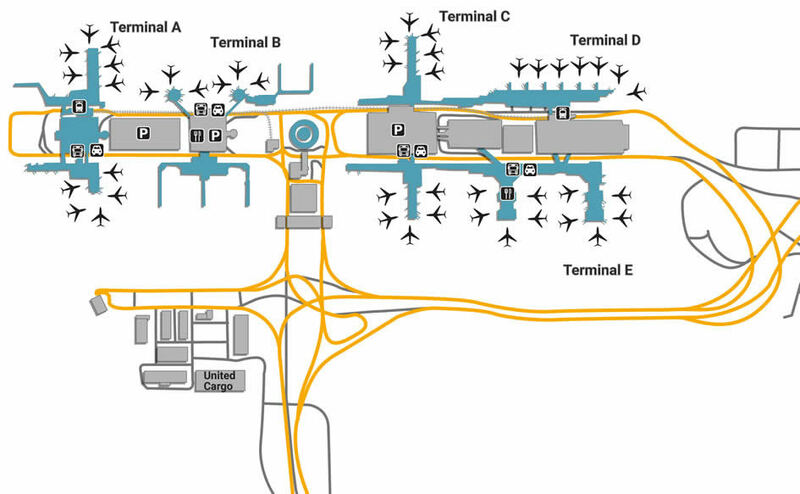 General services range from the typical to the extraordinary, whether it be a mundane rapid charger machine located at every gate or the interesting pet relief area located at Terminal A. If you’ve got children that need taken care of before you board, there’s a beautiful nursery at Terminal B as well as a relaxing massage chair for mom and dad to unwind. The airport can be a busy and hectic place, which is exactly what makes the meditative chapel near Gate C29 so important for not only guests but the collective stress that boards each flight. Layovers don’t have to be awful - spend some time shopping to banish boredom, getting an exciting new wardroom at Adrenaline, a sports & outdoors apparel shop located at Gate C14. If you’re in need of a quick traveling necessity, whether it be candy or a much-needed neck pillow, Allen’s Landing at Terminal B is a one-stop-shop for just about anything that’ll cross your mind. Before you head out, make sure you get a souvenir for your sweetheart back home by spending a few minutes at the Bayou City Travel Mart, home to a wide range of Texas-themed books, t-shirts, and mugs right by Gate C23. The only thing worse than waiting for your delayed plane is having to get on a flight with an empty stomach. Take advantage of your spare time by ordering a round of Tex-Mex tacos at the popular Mango Taco Truck, located at Terminal A. For red-eye traveler's, coffee is a must-have, especially if you’re lucky enough to watch Peet’s Coffee & Tea open up for business outside of Terminal D. If you’re in the mood for something more down-home, grab a bite to eat at Texas’ biggest fast-food joint, Whataburger (Terminal C), home to some of the tastiest burgers in the state.